Why did out high school teachers insist on us concentrating on out math all the time? Well, because most of the concepts are used later on in life, in major professions. For all those MBA aspirants, whether you are preparing for GMAT or for CAT. 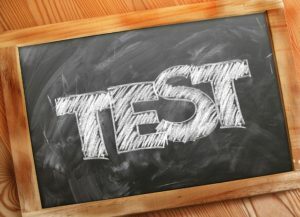 With the entrance test date coming close, it is time to revise your quantitative ability sections for the test. Here’s a MASTER ARTICLE that will help you out with all topics that you might what to check once before you move on to the next section of Verbal Ability or Logical Reasoning, something you should definitely go through in these last moments. (1) Formulas for all the topics of quantitative ability: Number System, Average, Percentage and Profit & Loss, Probability, Clocks and Calendars, Ratio, Mixture and Partnership, Time and Work, Time Speed & Distance, Set Theory, Geometry & Mensuration, Coordinate Geometry, Trigonometry, etc. Along with formulas, there are shortcuts and tricks for faster calculations. These would help you in solving the questions quickly and lead to better time management. (2) There are some websites on the internet that focus on these competitive exams. They provide with series of hand-picked questions by their experts, including some actual questions of previous years with changed figures and some questions that are expected to appear this time, with answers and explanations. It is advisable to surely try those. (3) Sundays have ample time to spare, right? At least they are not as heavy as the Tuesdays or Thursdays. So why not utilize that time on a topic that mostly takes a lot of your time – Permutations and Combinations (PnC). The most frequent questions from PnC topic are on distribution of balls into boxes. GMAT and CAT seem to have a long history with such questions, so you should be swift and agile and accurate in this particular topic. (4) If you get a chessboard question, do you think you can crack it with 100% accuracy and under 1 minute? Well, this should be your question for EVERY topic that you are ready with. If you are confident with Chessboard questions, that’s very good, if not, don’t worry, have a look at the tricks and tips on chessboard questions, you will find this topic to be way easier than it seems to be. (5) The difficulty level of the questions ranges from easy to difficult for you to get the exact feel of arithmetic questions. Revise all your arithmetic concepts and learn how to identify easy and difficult questions in once glance. And don’t forget to share this.